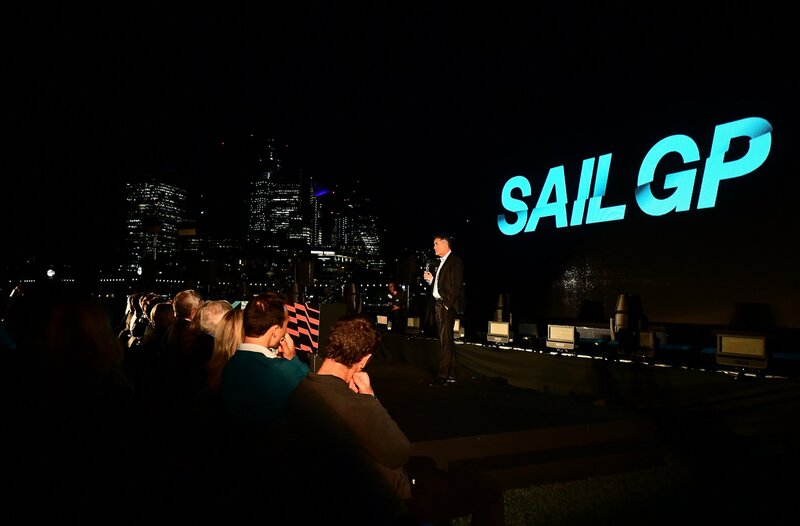 SailGP, a brand new global grand prix sailing series has been unveiled at a spectacular launch in London. Harnessing the raw speed of the wing mast foiling cats which stole the show at the last America’s Cup, the league will bring intense, competitive, inshore racing to fans at iconic sailing venues around the world, kicking-off in Sydney in February 2019. The league, which has been in development for over a year, will be backed by Larry Ellison, the Founder of Oracle Team USA. Ellison’s commitment has not only ensured SailGP will properly structured and supported, but a one million prize purse makes the event one of the richest anywhere in professional sport. The SailGP teams will represent six countries – Australia, China, France, Great Britain, Japan and the United States. The five-person Australian crew will be announced on 15 October. Former Oracle Team USA tactician and Olympic gold medallist Tom Slingsby is believed to have been selected as skipper of the Australian team. The boats themselves, known as the F50 Class are a redesigned, supercharged incarnation of the exceptional AC50 used for the 35th America’s Cup in Bermuda. Twelve months in development at the hands of pioneering technicians and engineers at Core Builders Composites in New Zealand, the F50s are expected to break the 50-knot (60mph/100kph) barrier. Russell Coutts, the most successful sailor in the history of the America’s Cup will take on the responsibility of the league’s CEO. “SailGP distills all of the most successful, exciting and relevant elements of high-performance, professional racing, while adding the extra edge that comes with nation-versus-nation competition,” said Coutts. “We are aiming to be pioneers of new technologies, boat design, commercial partnerships and global audience engagement. But with every crew on the same groundbreaking F50 catamaran, this isn’t a tech arms race, rather the ultimate test to establish the best sailing team in advanced foiling catamarans,” he added. With a primary goal of growing global viewership and broadening its fanbase, SailGP’s broadcast plans focus on comprehensive live coverage complemented by centrally produced highlight programs, and cutting-edge screen applications and services. Whisper Films has been retained as the league’s production partner and will play a key role in delivering a personality-driven broadcast utilizing patented and leading-edge immersive media technologies, while Talisman Sports and Media is handling global media rights distribution. will feature the so-called F50 class of superfast cats, a line-up of the cream of world sailing talent and close-quarters stadium racing at iconic sailing centres around the world. 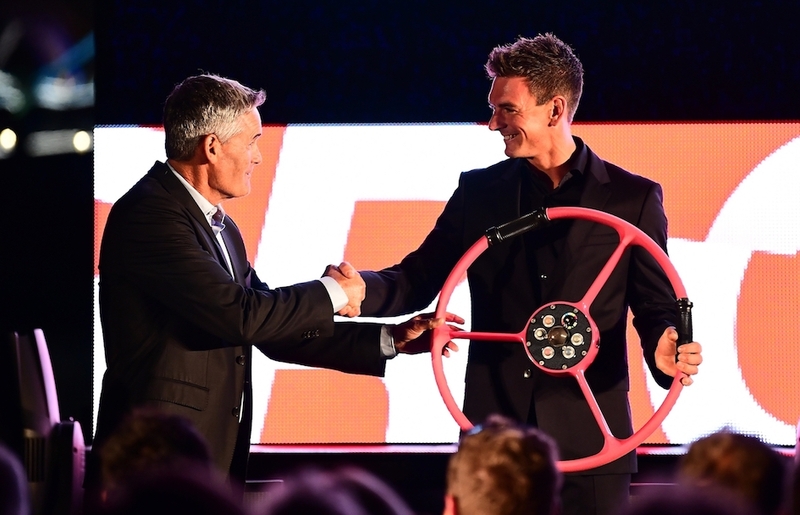 According to the organisers it will usher-in a new level of spectator involvement and was created to engage fans’ interest in a year-round supercharged, fast-paced version of sailing, aimed at increasing the sports mainstream popularity, introducing the next generation of athletes to the sport and creating a career path for extraordinary athletes. 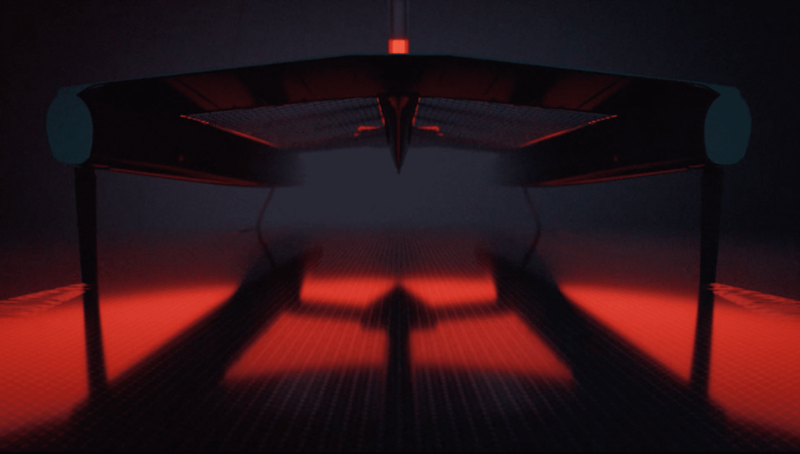 Each F50 team boat is equal in its top-flight technology, allowing sailors to compete on an even playing field. The sailing league will take place in five locations around the world, kicking off with the first no holds barred drag race on Sydney Harbour in February 2019. Australia will set the stage for the rest of the host cities including San Francisco (US), New York (US), Cowes (UK), Marseille (France). Rival national teams will battle it out in identical supercharged F50 catamarans, engineered for intense racing at electrifying speeds exceeding 50 knots (nearly 60mph/100kph). Nations with a team in the inaugural SailGP league include Australia, China, France, Great Britain, Japan and the United States. The Australian team will be announced in mid-October in Sydney. SailGP will utilise short-format, inshore stadium racing. Each grand prix will include two competition days, featuring a total of five fleet racing leading to a final match race between the two leaders. Points will be accumulated in each race throughout the season, culminating with a final match race between the top two teams for the SailGP Championship, with a USD $1 million purse and trophy presented to the winning team. SailGP racing is sanctioned by World Sailing, and boasts an internationally acclaimed race management team headed by CEO Russell Coutts, one of the most accomplished sailors of all time and former CEO of the 35th America’s Cup Event Authority. In addition to Coutts, Iain Murray, Olympian and former America’s Cup helmsman, is SailGP’s Regatta Director and Richard Slater, one of the world’s top international judges and vice chairman of the World Sailing Racing Rules Committee, is serving as chief umpire and chairman of racing rules. In addition to relying on its sailing experts, SailGP will harness the very latest electronic race management and remote umpiring to ensure consistency, fairness and safety. While the majority of SailGP teams will be fully comprised of athletes native to the country they are representing, select countries without the experience necessary to safely and competitively power the F50 boats will be provided a pathway to build to 100 percent nationality. In season one, China and Japan will be designated as developing teams, and will start with a 40 percent nationality requirement, which will increase by 20 percent annually. On the individual side, the nationality rules will be narrow, and sailors will not be eligible to compete for more than one country, with a variety of criteria required to satisfy nationality requirements. Wrangling these speed machines on the confines of a technically demanding harbour course won’t be easy, and the organisers say the sailors’ safety is the league’s top priority. The boats are engineered, and the competition is formatted for fast-paced, intense racing. But SailGP is also claiming to set new safety standards, with the latest technology and clothing, equipment and training all geared toward keeping its stars safe. SailGP has appointed Whisper Films as its global production partner to deliver programming to broadcast rights holders throughout the world. With a goal of widening appeal and growing viewership, SailGP broadcasts will highlight personality-driven content, and enhanced pre- and post-race analysis. Programming will feature an augmented version of the LiveLineTM technology that to greatly enrich the viewer experience. 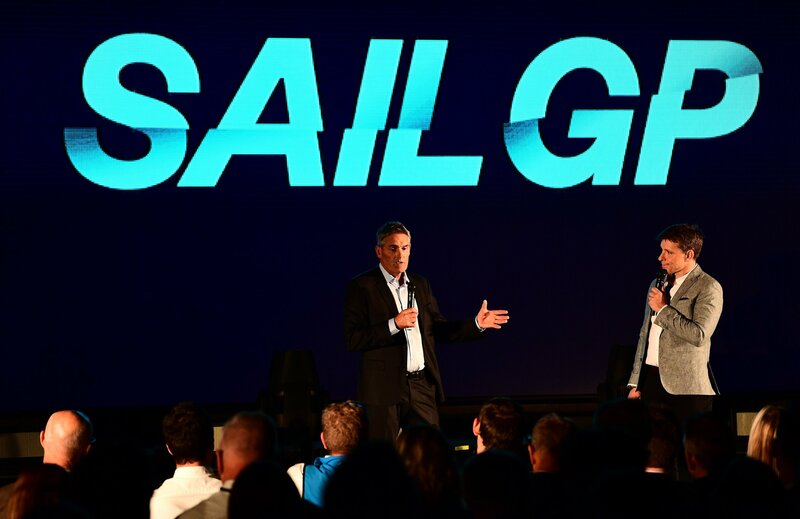 By season two, SailGP says it will launch global youth sailing programs to leave a sporting legacy in each market. The youth programs will provide opportunities for young sailors to develop via school programs and yacht clubs, creating a pathway to professional racing. Core Builders Composites in Auckland are building or converting AC-50s to be used on the SailGP circuit. For fans of fast sailing action February 2019 can’t come soon enough.